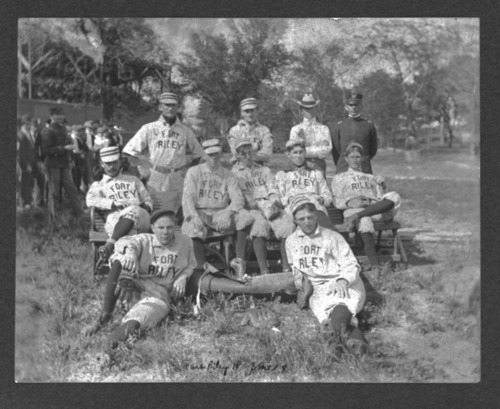 This photograph features a baseball team from Fort Riley in the early 1900s. The group is pictured in an outdoor setting, and includes nine players in uniform, an officer in military uniform, and an individual in civilian attire. Several onlookers are in the background.